Retargeting is a unique way of advertising. 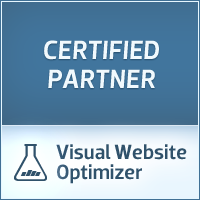 It allows you to approach visitors who already visited your website. They will be approached again on other sites with your ad. Since they showed interest in your site, it is likely that they will visit your site again, maybe even complete a purchase or an action you want them to complete. If they don’t revisit your site right away, you will still create and increase awareness of your brand. Research shows that 96% of website visitors leave a website without a desirable action. As many as 70% leave their cart without completing a purchase. Retargeting ads are shown on display networks. Google Display Network (GDN) is one of the largest display networks. It reaches 83 percent of the internet users worldwide (source: DoubleClick Ad Planner). In addition to GDN, there are other publishers as well; they offer display advertising on premium websites. Another way to (re)target visitors is using rich media ads. ‘Rich Media’ messages can be used for that as well. Converted visitors can be either ‘detagged’ or ‘retagged’ depending on whether or not you want to target them again in the later stages of the campaign. FloorAds, Expandable, Billboards, Lightbox and Take-overs are a few examples of rich media expressions. These type of ads are often purchased directly from publishers, because of the extensive features and technical specifications. Rich media ads lead to impactful campaigns on premium websites. One of the main benefits of Rich Media ads is that they generate interaction with users; the ad will only start to play if users scroll over the ad. Thus the ad will only start if users show interest in it. Rich Media ads are also available on the Google Display Network. These ads are called Engagement Ads with a focus on video. Google have ready-to-use templates to build these type of ads. Rich Media ads are becoming more mainstream, because of the simplicity in creating these ads using Google’s tools. The Online Marketers of Africa Online Marketing are all Google AdWords Qualified Individuals. This means that your display campaign is in safe and experienced hands. Africa Online Marketing helps you with setting up the account, billing and reporting.. At the same time, we maximize your results by managing your campaigns both efficiently and effectively.